Including a first look at Momofuku’s Feast of the Seven Fishes. Given its glitzy location at The Cosmopolitan on the heart of the Strip, Momofuku Las Vegas knows it can take things to extremes. This is a David Chang operation where high rollers can order fried chicken with half a pound of caviar ($328 for smoked trout roe, $998 for white sturgeon, $1,488 for golden osetra). There’s whole rotisserie duck, four-pound racks of prime short ribs, and salt-and-pepper lobster and shrimp with six lobster tails and 18 shrimp tempura. Momofuku Las Vegas likes to take guests around the world on one plate. When we first met executive chef Shaun King earlier this year, he told us that the restaurant’s clams grand Lisboa, a gargantuan dish that simultaneously nods at spaghetti alle vongole and Cantonese stir-fries, makes him happy because it reminds him of eating pizza. Something about the combination of flavors and textures and aromas in the umami-rich dish gives him the same kind of pleasure he gets from a great slice. With the new Feast of the Seven Fishes menu at Momofuku Las Vegas, King has found new ways to evoke taste memories while blending Italian and Asian flavors. When he tells us that a new seafood hot pot is inspired by ribollita but that it also has Japanese crab miso along with king crab, black cod, sausage, and crispy rice, it makes sense. Serving lobster fra diavolo with fermented bean paste and shiso is another way Momofuku is riffing on a holiday feast. Momofuku’s family-style Feast of the Seven Fishes, which is available for $148 per person on the first three Saturdays and Sundays in December and then from December 22 to 31, also includes bing bread with uni. Then there’s duck liver mousse, octopus, and branzino ssam before the lobster fra diavolo and the seafood hot pot. Dessert is meringata with black sugar caramel, miso, and apples. For another only-in-Vegas dining extravaganza, José Andrés’ Jaleo is upstairs from Momofuku at The Cosmopolitan. This is the only outpost of Jaleo with a new menu of Ibérico de Bellota specialty cuts. This meat, from acorn-fed pigs in Salamanca, Spain, resembles steak more than any other pork we’ve ever had. The menu is headlined by a sweet and funky $110 grilled pluma, the prized “feather” cut from the head of the loin. Even a $25 order of braised pork cheeks (carilleras), served with seasonal mushrooms, tastes like a rich hybrid of white and red meat that bursts with nuttiness. Jaleo Las Vegas head chef Luis Montesinos knows that Ibérico de Bellota is unlike any other meat, so he understands that all he needs to do with a $25 lomo cut from the loin is sear it on the plancha and serve it with apple-mustard sauce. The $85 “butcher’s cut skirt steak” (secreto) is grilled and served with toasted tomato bread. 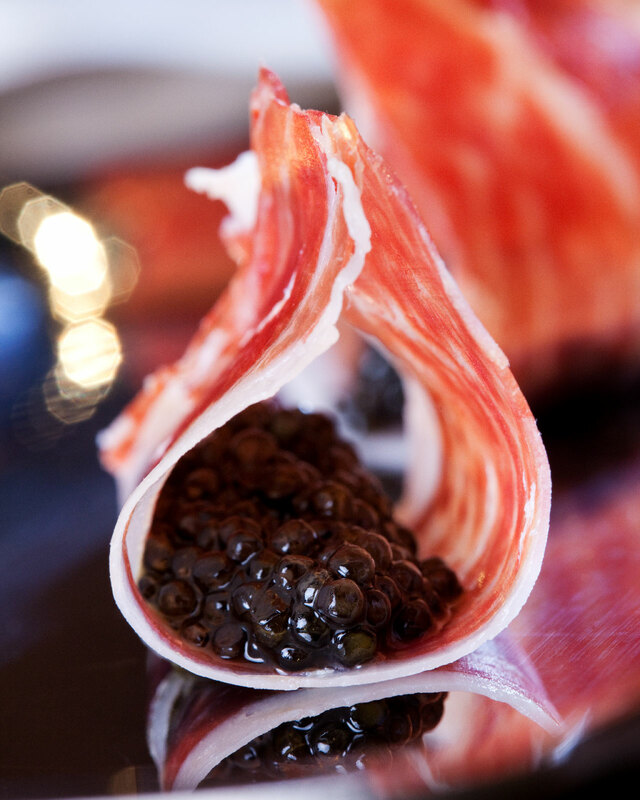 And because this is an Andrés’ restaurant, you might consider starting your meal with what’s known as "José's taco," which is Ibérico de Bellota ham topped with royal osetra caviar ($25). All this said, the most over-the-top new dining experience at The Cosmopolitan might be Red Plate, which is down the corridor from Jaleo. This modern Cantonese restaurant, which chef Yip Cheung opened in October, serves king crab spring rolls ($19.88) and caviar taro puffs with quail egg ($19.88). There’s foie gras that adds creamy luxury to the sweet corn soup ($12.88). The stir-fried lobster ($98.88) takes things beyond Chinese flavors with lemongrass and a Thai sauce that offers a pleasant hit of sweetness. If you want Peking duck ($118.88) or a whole suckling pig ($288.88), you should pre-order it. Red Plate puts gold leaf on the aforementioned caviar taro puffs. The restaurant tops its fragrant and deeply delicious beef fried rice with black truffle ($38.88). VIP guests might be served sizzling meat on a bed of rocks. Expect, at some point during your meal, to get a signature dish on a red plate. This is a nod to a Chinese tradition where emperors are given red plates by distinguished visitors. The Cosmopolitan has more than 50 red plates from Asia, Europe, and other parts of the world. Some of these plates date back to the 1800s. The youngest plate is nearly 60 years old. Red Plate is a companion piece to the Talon Club high-stakes gaming lounge. 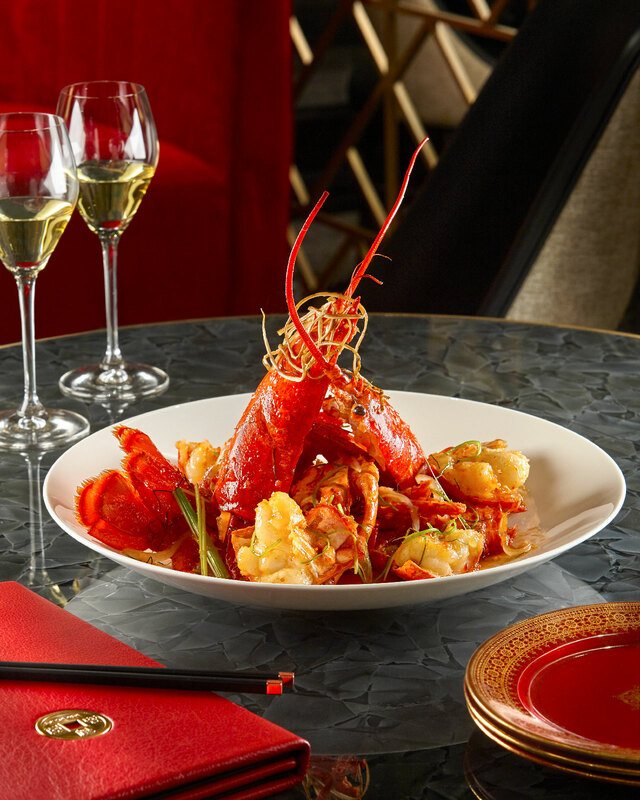 But while the Talon Club is reserved for the kind of big players who make baccarat bets that far surpass the price of any tasting menu, Red Plate is open to the public. You don’t have to bet it all on red to eat here. Just make a reservation.